In our previous blog, we talked about the dangers of removing old floor tiles that could contain a percentage of asbestos; while often harmless, these floor tiles require extra care when removing to avoid health risks to everyone in the home. Today, we’ll talk about another dangerous substance that received a ban around the same time as asbestos, yet still can be found in floor tiles: Lead. Lead was banned in US homes in 1978, around the same time that asbestos was coming under fire for its potential dangers. Unlike asbestos, which was a relatively new product at the time, lead had been used in paint and products for thousands of years, and was considered to be a staple to our way of life. When European countries began talks of banning the metal in the early 1900s, the United States ignored the conversation, even when it was banned by the League of Nations in 1922. Some 50 years later, the United States government had little choice but to accept that lead-based products were too dangerous to keep in our homes. Lead has been shown to cause a host of problems to families, especially in children. Perhaps you have heard of the expression “eating paint chips?” That expression is directly based on the very real possibility that lead-based paint had to come off in chips, which could then be eaten by children and directly lead to a host of neurological disorders or death. In addition to major lifelong illness, lead poisoning has been shown to cause many learning disorders and developmental disabilities. Even gasoline once contained dangerous amounts of lead, which is why today’s pumps all show “Unleaded” as the selection. Lead-based paint is posing a real danger to families today, even years after the ban on the production, sale, and application in the United States. While many look at this as an issue of the past, it is an unfortunate reality that homes across the country still contain unsafe levels of the dangerous substance. Alarmingly, the ban that prevents lead from coating the walls of our homes and the chemical composition of toys and personal goods does not pertain to ceramic glazes. This means that many ceramic floor tiles, unless known to be otherwise, could contain trace amounts of lead. It is important that anyone looking to buy or remove ceramics from their home do so without presuming that the substance is lead-free. Always attempt to remove older ceramic floor tiles without sending large clouds of dust into the air, potentially contaminating the home with a fine lead dust. While this small, one-time exposure may not be harmful, it is best to keep children well out of the home whenever uninstalling ceramic tiles. Many people have no idea that this ceramics glaze overlook exists in the original law that banned lead-based paint or that ceramics can still contain lead at all; this assumption of safety has caused the legislation to avoid an update for years. Today, it is important that you consider the potential for seemingly harmless amounts of lead locked into the ceramic glaze on your floor tiles before buying, because the potential risks, while slight, are still present. 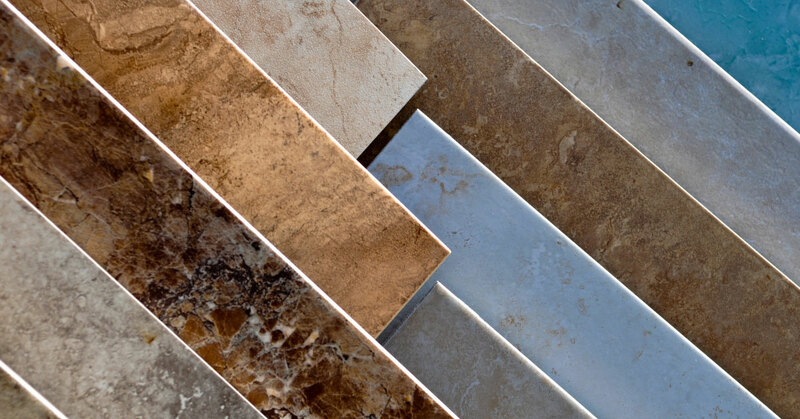 Stop into Transworld Tile for the ceramic floor tiles for your Thousand Oaks or San Fernando home to get helpful assistance on the tiles and manufacturers that utilize a lead-free glaze or for instructions on safely working with floor tiles that contain a trace amount of the substance. Contact us today or stop in to learn more! We provide tile to the industry and design services to retail customers. We sell a large selection on ceramic, porcelain, glass, stone and marble plus setting materials. just give us a call at 818-881-9700 or fill out one of the forms on our site, and someone will contact you to discuss your needs. We hope to hear from you soon!